Safely guide your library into the new millennium! Like so much else in the information professions, leadership styles are being forced to change to meet the demands of technological innovation. 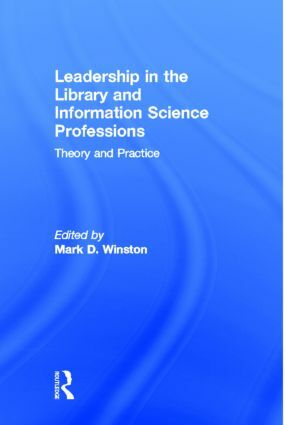 Leadership in the Library and Information Science Professions is among the first books to focus on this increasingly important job qualification. It offers practical advice for developing strong, flexible, and creative leadership skills in yourself and your staff. Leadership in the Library and Information Science Professions is an essential resource for library administrators and staff. By developing your leadership skills and those of your staff, you can confidently face the hectic pace of change in the information sciences.